Aagoo Records is gearing up to release a new 12″ from noisy Italian psych-outs INUTILI. Music to Watch the Clouds On a Sunny Afternoon is two tracks long, exploding with nearly 40 minutes of murky, blown-out acid rock. These two songs unfold in the noisiest way possible and both have their own nasty edge. With each track taking up a 20 minute side of the 12″, there’s plenty of time for this stuff to go completely berserk before settling back down again. Each track is like a shape-shifting mess, imploding in on itself again and again only to reform in some other monumental way. B-side “Drunk of Colostro” begins easy enough with a bluesy leaning guitar chord, but even then you can feel the madness that’s about to take place. Low-end bass frequencies form into this thick, buzzing block, dipping deep below the murky water to create a slithering psychedelic moment about 6 minutes in. 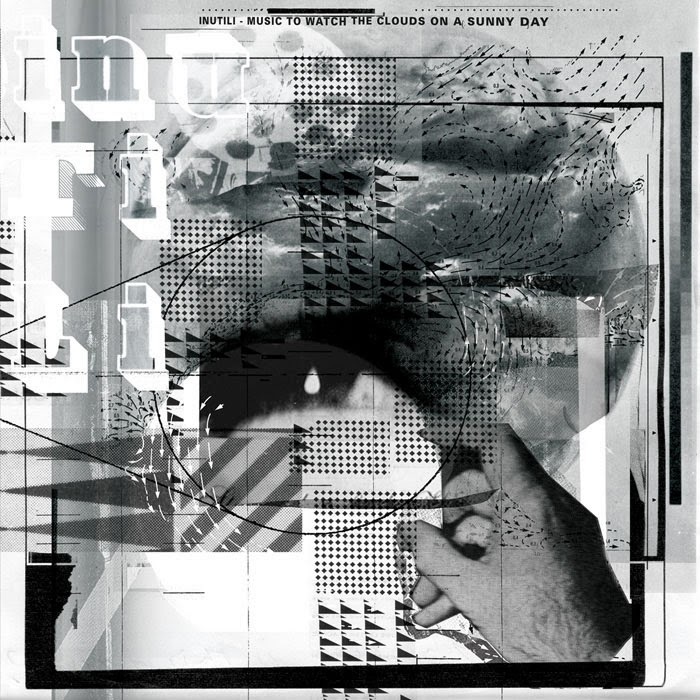 A-side “Fry Your Brain” immediately brings a fluttering space rock vibe into the mix, fronted by throbbing bass lines and warbled guitars that slowly become unwrinkled. These guitars douse the track in a layer of colorful haze, like a gravitational pull tossing you into orbit. The bass line lingers for nearly 7 minutes, proving this band comes with a certain level of improvisational skill to artfully assist their noise.